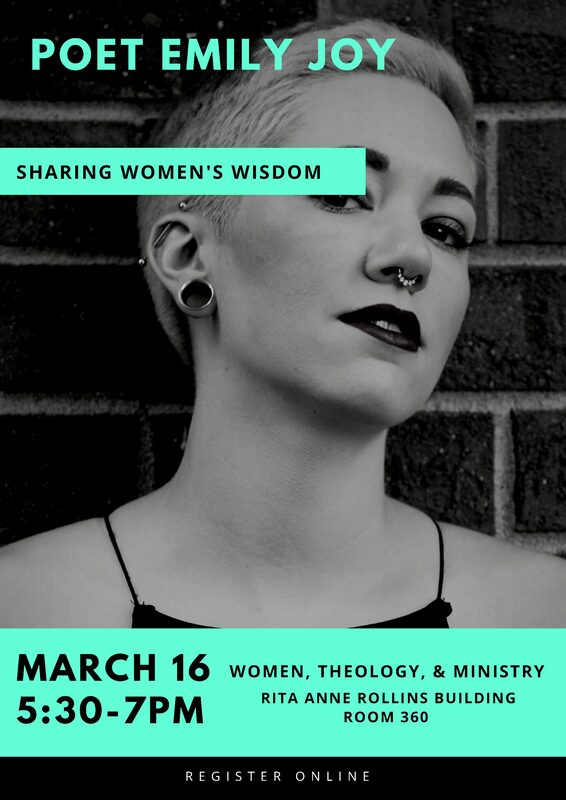 Emily Joy will be with seminarians at Candler School of Theology at Emory University with the Women, Theology and Ministry Program to perform her poetry and talk gender, faith, sexuality, activism, and more. There will be a moderated Q&A following the performance. The event is free and open to the public, and light hor d’ouerves will be served prior to the event.